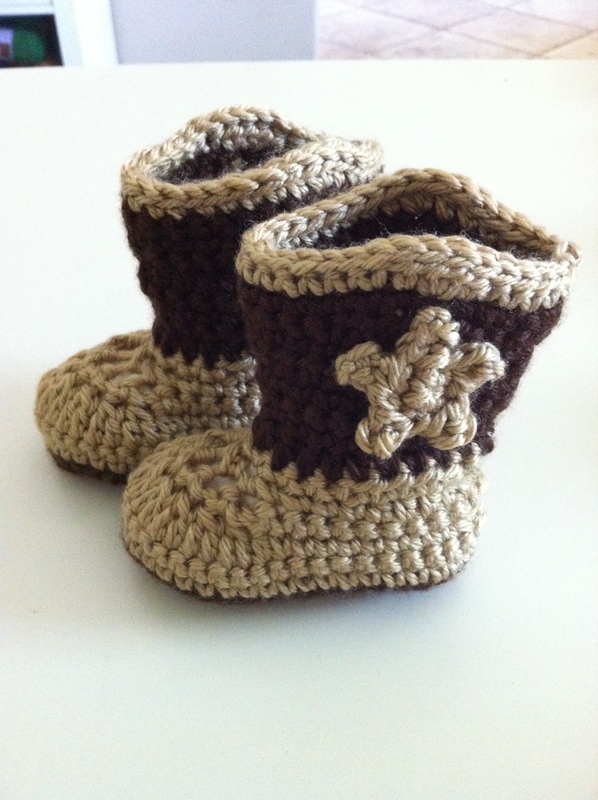 I revisited a pattern in my stash from The Lovely Crow for these adorable cowboy boots. Having several color combinations in mind, I started with the brown and tan. I have to say, it was much easier this time around than the first time I tried these tiny boots. Probably because it has been 1 year and my crochet skills have developed quite a bit since then. I’m making a few in various sizes for our craft fair later this month in Morgan Hill. These are so stinkin’ cute! I’m having ideas about making myself a larger pair because my (fake) Ugg slippers are wearing out! Love these* They were very cute in person as well!